It’s hard to come up with a good excuse to not go for a bike ride. If it’s too hot, ride in the morning or evening when it’s coolest. If it’s too cold, wear more layers. If it’s raining, put on a rain jacket and don your sense of adventure. If it’s snowing, be glad it’s not raining and get out there. If it’s so freakin’ windy that it’s hard to stay upright, well then you’ve found a worthy excuse to stay indoors. 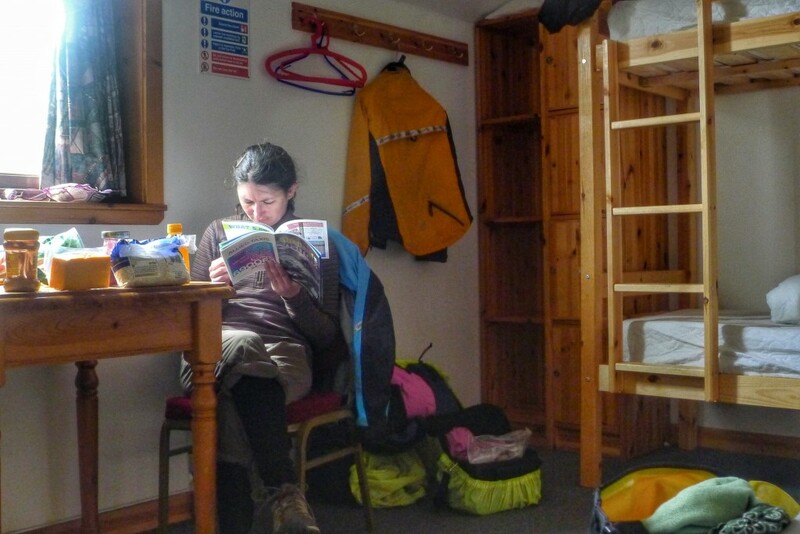 Carrie does some reading in the hostel in Lerwick. It felt so luxurious to be indoors. 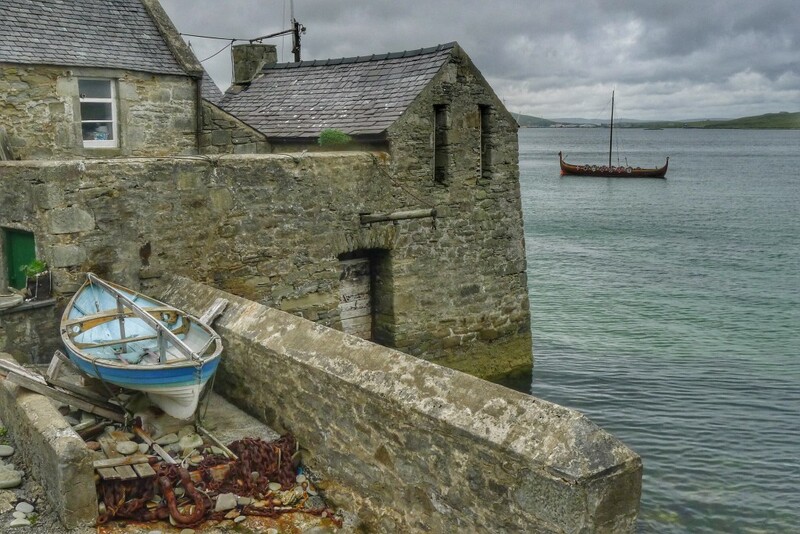 A replica Viking longship sits in the Lerwick harbor. The Shetlands have a strong connection to Scandinavia. The islands were once ruled by Norway. Although the conditions were perfect to employ such an excuse, we didn’t have another option. Into the wind we went as we headed back to Lerwick from the southern tip of the island. The riding turned out to be fine. We made it back without much drama. There were a few sections where the wind pushed us into the middle of the road, but we were fortunate that traffic was light. Even drivers knew better than to take their little hatchbacks into 40mph gusts. Instead of staying at another böd west of Lerwick, we opted to rent a bedroom at the hostel in town. It was expensive, but it was a relief to be indoors.